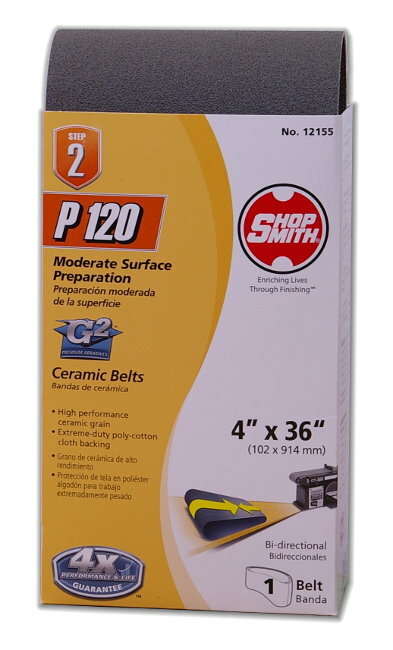 Start enjoying the benefits of four-times faster cutting and four-times longer life with Shopsmith Ceramic Abrasive Belts. Shopsmith Ceramic Abrasive 4" x 36" Belts are available in 36 grit, 60 grit, 80 grit, 100 grit and 120 grit. Each comes one per package.